I don’t mean to sound like a skeptical version of Harold Camping. Indeed, I was quite surprised when I discovered the fatal fragility of Christianity. It must be true though–a creationist says so. 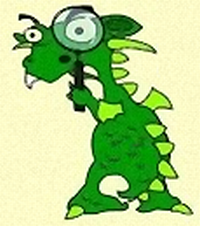 I have been attempting to read Darek Isaacs‘ book Dragons or Dinosaurs? Creation or Evolution? * Woo Hoo, two question marks in one title: you know it’s going to be good. I mean it’s clear that he is keeping an open mind and will consider all the evidence before deciding the answers to these questions. Wait, what’s that in his author bio? He is the President and Founder of Watchmen 33, an organization that is focused on defending and confirming the authority of the Bible. Darek maintains that the great mysteries of human existence are only answered through the knowledge of Jesus Christ. From this summit [“the Mount of Dragons”], I cannot recant the truth of dragons in the Scriptures. I am not ashamed of the Bible, its words, its meanings, and its assertions. So, to the temporary hope of secularists, and to the anxiety-riddled, uninformed Church, I will shine a spotlight for all to see that the Bible speaks of dragons as real. Holy crap! If we can prove that dragons aren’t and never were real, Christianity will disappear over night. Get on it, people: by the time I get up tomorrow, I expect to find that Christianity is a distant memory. Then on Thursday and Friday, we can take care of Judaism and Islam. It shouldn’t be too difficult: once one of the Abrahamic religions has fallen, the others should follow pretty quickly, especially since the creationist dragon/dino hypothesis depends primarily on the Old Testament rather than the New. Then, just for a change of pace, we can take down Hinduism over the weekend. MWAHAHAHAHA, foolish Creationist, you should not have revealed to us that Christianity’s Achilles’ Heal was dragons. Who knew it would be so easy to destroy a major world religion? *Tragically, I have the version without the DVD. This entry was posted on Tuesday, October 11th, 2011 at 12:27 pm and is filed under creationism, religion. You can follow any responses to this entry through the RSS 2.0 feed. You can leave a response, or trackback from your own site. 6 Responses to Christianity Ends Today! I wonder if this fool has any idea that the “Dragons” in the bible are related to ancient Babylonian primodial dieties Tiamat and Kirgu? I just can’t get over how clueless these people are. Is his belief system so fragile that he can’t deal with metaphor in texts and different sorts of “truth”? Well, naturally the book doesn’t have an index (or a bibliography, though there are endnotes after each chapter), and I’ve taken a break to read less stupid books, but thumbing through, I have seen no mention Tiamat or pre-Old Testament mythology. In the Bodie Hodge/Laura Welch creationist dragon book I wrote about before, they leave out Marduk and Tiamat, even though they include a dragon timeline. These sort of books do reveal both fervency and a strange fragility of faith. On the one hand, his faith could be shattered by a comparatively unimportant biblical point (the existence of dragons). On the other hand, that’s not going to happen because he’s going to stick his fingers in his ears and say, “Lalalala, I can’t hear you! Of course dragons are real!” You should hear him rail against Christians who don’t take dragons seriously and modern translations of the Bible that use a word other than “dragon” where he wants a dragon.